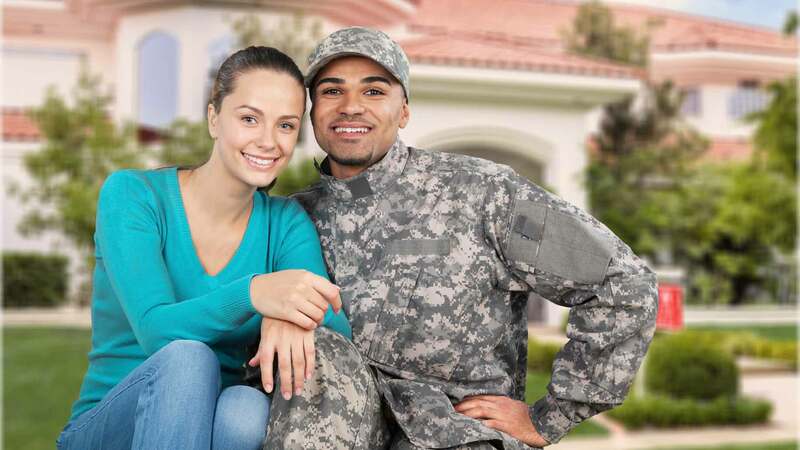 If you’re a current or former member of the Armed Forces and you’re weighing whether to buy a home, there’s one benefit you need to know more about: the VA loan. 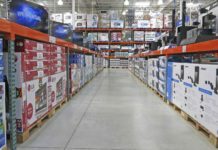 Read on to learn how you can save thousands of dollars as a homeowner. According to the U.S. Department of Veterans Affairs, a VA loan is “a home loan guaranty benefit…to help you buy, build, repair, retain, or adapt a home for your own personal occupancy.” It’s one of the best financial benefits members of the military can receive. Like conventional mortgages, most VA loans are issued by private lenders. However, they’re backed (in most cases, up to $417,000 in loan value) by the full faith and credit of the U.S. Federal Government. That guarantee reduces the risk for lenders and allows them to offer more favorable terms, potentially including lower interest rates and a private mortgage insurance (PMI) waiver on loans with loan-to-value (LTV) ratios higher than 80%. It also allows lenders to originate VA purchase loans with no down payment required – putting homeownership within reach for service members with limited personal savings. Conventional loans require down payments – commonly up to 20% of the property’s value. Other homeowner-friendly loan types, such as FHA loans, also require money down. The Federal Government has guaranteed housing loans to veterans since 1944 when Congress passed the Servicemen’s Readjustment Act (SRA). The SRA authorized the VA to guarantee home loans made by qualified lenders. Initially, this authorization only covered loans made to veterans purchasing non-modular homes. In 1970, Congress amended the SRA to cover loans made on mobile homes. In 1992, the law was further expanded to virtually all active duty and honorably discharged Armed Forces veterans, as well as Army Reserve and National Guard members who served with honor for at least six years. In some cases, service members’ former spouses are eligible for VA loan guarantees too. 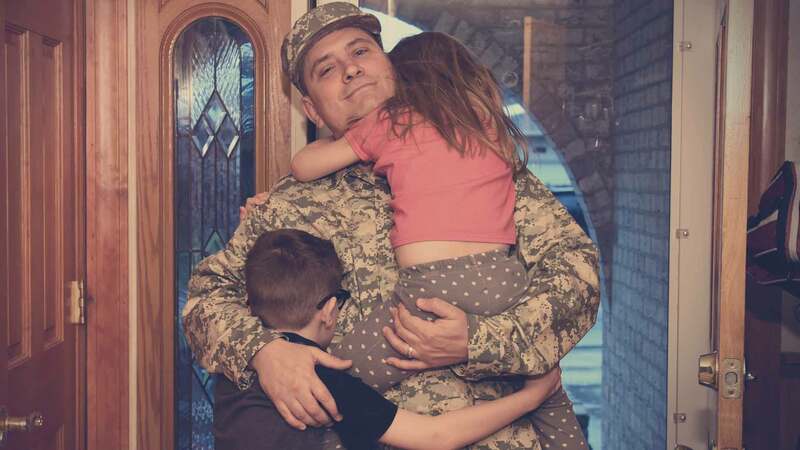 The SRA provides other financial benefits and protections for certain service member classes, including a hard cap of 6% on mortgage interest rates during active duty. Purchase Loan: A purchase loan is designed to help a qualifying service member finance an owner-occupied home purchase with no money down. Purchase loans can do any of the following: buy an existing detached home; buy a condominium unit in a VA-approved project; build a new construction home; simultaneously purchase and renovate a home (similar to an FHA 203k rehabilitation loan); or buy a manufactured home or lot for an already-owned manufactured home. Cash-Out Refinance Loan: A cash-out refinance loan is designed to replace an existing mortgage on a home that the borrower already owns while providing the borrower with a lump sum cash payment with no restrictions. The existing mortgage does not necessarily have to be a VA loan. Cash-out refinance loans are similar to home equity loans, which also let you borrow against the value of your house, but differ in some important ways: they replace existing mortgages (home equity loans do not), they usually (but not always) have lower interest rates than home equity loans, and they carry closing costs (home equity loans do not). Many lenders permit loan-to-value ratios up to 100% on VA-backed cash-out refinance loans, as opposed to 80% on most home equity loans and lines of credit. So, if you still owe $100,000 on a $150,000 mortgage and your house is worth $200,000, your cash-out refinance loan can be as large as $200,000 – of which $100,000 is available to cash out and do with as you see fit. Interest-Rate Reduction Refinance Loan (IRRRL): Also known as the VA Streamline Refinance Loan, this product allows you to refinance an existing VA loan and secure a lower interest rate without going through the VA loan application process a second time. Unlike cash-out refinance loans, IRRRLs can’t be used to tap your home equity for cash, with the exception of a $6,000 allowance for energy-efficient home improvement projects. Though you don’t need to submit to a credit check or other aspects of the typical mortgage underwriting process, you do need to prove you live in the home against which the loan is secured. Adapted Housing Grants: These two non-loan products (Specially Adapted Housing Grants and Special Housing Adaptation Grants) are for veterans with “permanent and total service-connected disabilities,” or disabilities that qualify for 100% disability compensation under the VA Schedule for Rating Disabilities and are not expected to improve with time. Eligible disabilities include loss of use of both legs or arms, loss of use of one leg and one arm, severe burns, and blindness in both eyes, and severe respiratory injuries. Veterans can use both grants to finance or offset the cost of building disability-adapted housing from the ground up, purchasing already adapted housing, purchasing and adapting currently non-adapted housing, or adapting already lived-in housing. VA mortgage loans carry a special fee that doesn’t apply to other mortgage loans: the VA funding fee. This fee varies by the applicant’s branch of service and down payment, but generally ranges from 0.5% to 3.3% of the purchase price. You can pay the funding fee at closing or wrap it into your loan value, though wrapping does produce a larger monthly payment. For a complete overview of VA funding fees, check the VA’s Funding Fee Table. No Down Payment Required: For cash-strapped borrowers, this is the single biggest advantage of a VA-backed loan. Most other mortgage loan types require at least 3%, and many lenders prefer 10% or more. 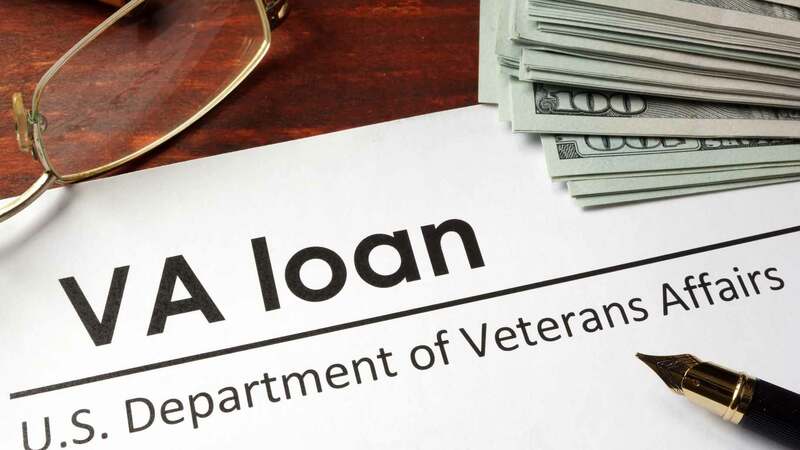 Be warned that some lenders do still ask for down payments on VA loans, but the industry is competitive and you’ll likely be able to shop around to avoid this requirement. No PMI Required: VA-backed loans don’t require private mortgage insurance. By contrast, conventional loans issued at greater than 80% LTV do require PMI until the borrower’s LTV drops below 78% (or 80% if the borrower requests PMI removal early). Depending on the loan principal and down payment value, this can save anywhere from a few dollars to several hundred dollars per month relative to a conventional loan with PMI. Relatively Lenient Underwriting: Lenders hold qualified VA loan applicants to lower credit standards than applicants for conventional mortgage loans. Even if you have fair or average credit, you may still qualify for a VA-backed loan. Limits on Required Closing Costs: Borrowers eligible for VA loans don’t have to pay certain closing costs, including underwriting fees, escrow charges, attorneys’ fees, and document processing fees. The lender can partially offset its losses on these non-allowable items by charging the borrower an origination fee up to 1% of the loan principal. Otherwise, the seller can agree to pay them (as it’s fairly common for sellers to pay closing costs), the buyer’s agent can issue an agent credit at closing and take a hit on the commission, or the lender can simply eat the cost via a lender credit at closing. Lenders are permitted to charge VA-eligible borrowers for certain closing items, including title insurance, a credit report, property appraisal, property survey, and recording. VA Inspection for New Construction Homes: When a VA loan is used to finance a new construction home, the VA sends licensed inspectors to evaluate construction progress and confirm that the home fits the VA’s specifications. At a minimum, the builder is required to provide a one-year warranty on the new home. Some builders offer warranties as long as 10 years, providing crucial peace of mind for new homeowners. No Prepayment Penalties: VA loans carry no prepayment penalties. If you wish to avoid interest charges by accelerating your loan’s payoff or making additional payments toward its principal, you’re free to do so with no penalties. Some lenders charge substantial prepayment penalties – often as great as 80% of six months’ interest, which can amount to more than $10,000 on a large loan. Assumability: VA loans are assumable, meaning they can be transferred from the seller to the buyer with minimal (or no) change to rates and terms. This is extremely useful in a rising interest rate environment. However, the buyer still has to cover the difference between the remaining loan balance and the appraised value of the home, either by putting cash down or taking out a second mortgage. 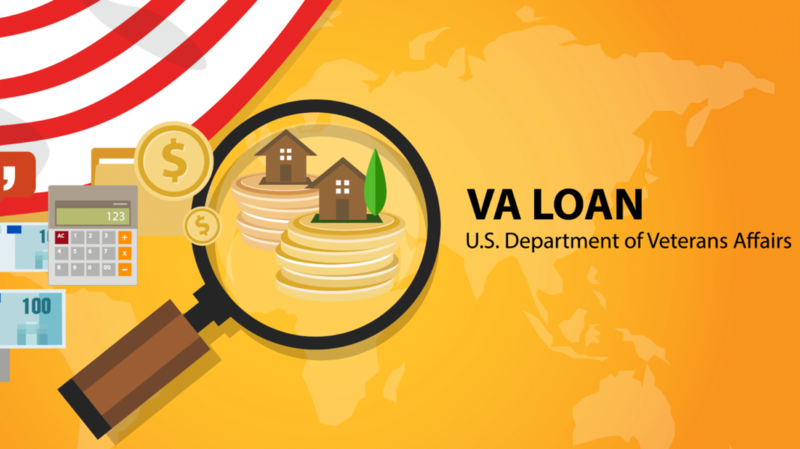 Loan Principal: While there is no upper limit to the value of the property to which your loan is attached, the VA guarantees loan principals only up to $417,000 – the cutoff between conventional and jumbo mortgages. 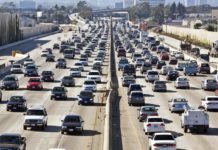 This upper limit can be lifted in certain regions with high housing costs, mostly in Alaska, Hawaii, and major coastal metropolitan areas, such as San Francisco. IRRRL Interest Rate: Unless you’re refinancing an adjustable-rate mortgage (ARM) into a fixed-rate product, your IRRRL’s interest rate must be lower than your original loan’s rate. IRRRL Restrictions on Proceeds: You must use the proceeds from your IRRRL to pay down the existing VA loan or invest in qualified energy efficiency upgrades. Since September 8, 1980, Armed Forces personnel who gave at least 24 consecutive months of service in active or nonactive-duty roles are eligible for VA loans. Those called to active duty at any point during their careers are eligible after serving at least 90 to 181 days on active duty, depending on when the service occurred. Those currently on active duty are eligible after serving at least 90 consecutive days on active duty. For more information, check the VA’s eligibility table. Surviving Spouses: Several types of surviving service member spouses are eligible for VA loans. These include unremarried spouses of service members who died in service; unremarried spouses of service members who died from a service-connected disability; surviving spouses who remarried after December 16, 2003, and after reaching age 57; and surviving spouses of totally disabled veterans whose death cannot be conclusively attributed to the disability. Naturalized U.S. Citizens: This class includes individuals who served in certain foreign militaries allied with the United States during World War II and subsequently became naturalized U.S. citizens. Members of Certain Military-Aligned Service Organizations: This class includes individuals who served as cadets at the U.S. Military Academy, Air Force Academy, or Coast Guard Academy; as Public Health Service Officers; as midshipmen at the U.S. Naval Academy; and officers at the National Oceanic & Atmospheric Administration. Once you’ve determined that you’re eligible for a VA loan, you may need to obtain a certificate of eligibility (CoE) to present to your lender. Though you don’t need a CoE to obtain an IRRRL, your lender will not originate a VA purchase or cash-out refinance loan without a valid CoE. Armed Forces Veterans: Department of Defense Form 214 (DD214), including a full explanation of the nature of separation and character of service. Active Duty Service Members: A signed statement of service outlining the service member’s service entry date, personal information (including date of birth and Social Security number), and lost service time (if any). Current or Former Reservists and National Guard Members With Active Duty Experience: Department of Defense Form 214 describing the nature of separation and character of service. Current Reservists and National Guard Members Without Active Duty Experience: A signed statement of service outlining the total duration of service and any lost time. Discharged Reservists Without Active Duty Experience: Evidence of honorable service (can vary on a case-by-case basis) and a copy of the most recent retirement points statement. Discharged National Guard Members Without Active Duty Experience: Service records and separation reports for each stretch of National Guard service or a retirement points accounting statement with accompanying evidence of honorable service. Surviving Spouse Receiving Dependency and Indemnity Compensation (DIC) Benefits: The veteran’s DD214 (if available) and VA Form 26-1817. Surviving Spouse Not Receiving DIC Benefits: The veteran’s DD214 (if available), VA Form 21-534, death certificate or Department of Defense casualty report (DD1300), and marriage license. These documents must be sent to the spouse’s local VA Compensation and Pension office for processing. The easiest way to apply for a CoE is online, at the VA’s eBenefits portal. You may also be able to apply with your lender during the underwriting process, though not all lenders have this capability. If you prefer to apply offline, you can fill out and mail VA Form 26-1880 (Request for Certificate of Eligibility) with the appropriate CoE evidence for your service class. If you’re a surviving spouse, you must fill out a paper copy of VA Form 26-1817 and either give it to your lender for forwarding to the VA or mail it directly to the VA.
Once you have your CoE in hand, you can use the VA’s website to find a qualified lender that originates VA loans and begin the underwriting process. Learn more about applying for a CoE on the VA’s Certificate of Eligibility page. Serving in the Armed Forces is a heavy task – so is choosing to spend your life with a career service member. The least the Federal Government can do to honor and reward the sacrifices made by service members and their loved ones is to make it easier for them to buy homes of their own. It’s no wonder that private lenders have issued nearly 20 million VA-backed loans since the program’s inception. In an ever more tumultuous and uncertain world, those charged with keeping the peace deserve secure spaces of their own. Have you taken advantage of benefits such as VA loans? What other services should be offered to current and former military members?